The FZ-i is the latest Precision Top Loading Balance release by A&D Australasia. Following in the footsteps of it’s recently released stablemate the FX-i, this new balance offers top of the line functionality at a very affordable price. Given space is at a premium in most laboratory type locations the compact footprint of the FZ-i is sure to prove a winner with those pushed for room in their work area. The C-SHS Weighing Sensor provides high speed weighing stability, typically settling within 1 second, to ensure the balance is always ready for the next weighing sample. The FZ-i breaks totally new ground with it’s Air Pump Controlled internal calibration feature. The calibration sequence is controlled by the air pressure force generated by an air pump which has proven, through exhaustive testing, to be extremely reliable in operation and also fail safe when the balance is being transported. A shock absorbtion function also ensures your scales can put up accidental overloading that will sometimes occur through misjudement. A large menu of weighing units and other functionality, such as counting or percentage, ensure the balance has the flexibility to meet your particular requirement. A host of optional features such as a Quick USB Interface, a LAN interface and a rechargeable battery are also available. 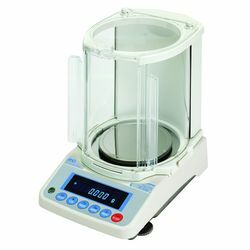 Vist the Product Page for more information and to download the brochure for the FZ-i Precision Top Pan Balance.